Through oscillations of excitement and doubt over AR, the early optimism wasn’t wrong… it was just early. AR will reach world-changing status, but not as quickly as first expected. It’s like circa-2000 dot-com exuberance, which ended up being on target… but not until 5-7 years later. This is where we are now with AR (and VR to a degree). It needs more time in the oven to reach the transformation that was trumpeted throughout 2016 and 2017. The process of native evolution needs to happen slowly and iteratively, says Tilt Five CEO Jeri Ellsworth. Speaking at an AR/VR Munch ‘n Learn event at Samsung NEXT’s Silicon Valley offices (video below), she asserts that the path of any emerging technology can’t be predicted. It morphs into killer apps that look obvious in hindsight (think: Uber) but aren’t apparent in real time. That said, there are of course several factors that can increase the chances of success. This is the standard list: strong team, good IP, product/market fit, timing and a dash of luck. But there are also a few specific success factors in AR that Ellsworth espouses including most of all, focus. This slow-moving evolutionary process will progress similar to a poster that Ellsworth has hanging in her office. 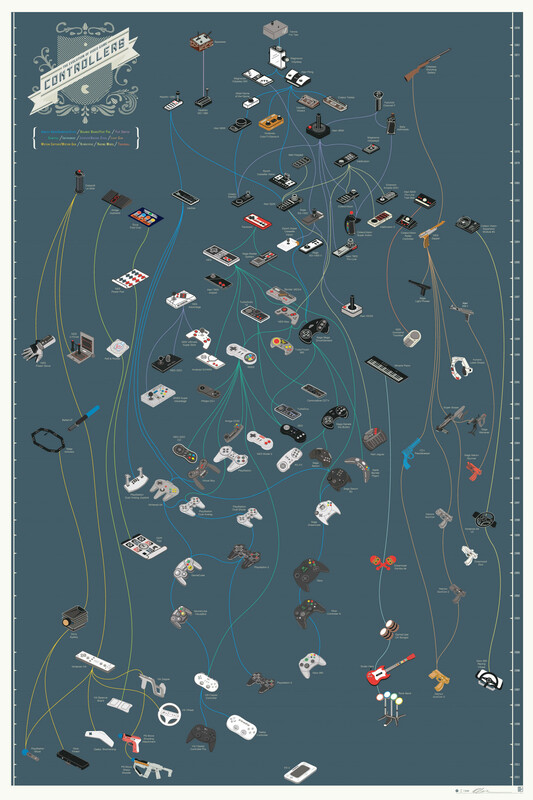 It shows the evolution of input devices for video games, including some crazy designs that didn’t make it, and the eventual progression to the game controllers we now know. The same historical lesson can be seen in mobile devices, where we likewise saw this natural selection of hardware design. That includes things that now seem laughably off-target, like slide-out keyboards, the heyday of Nokia and other evolutionary steps before we got the iPhone. Speaking of the iPhone, its introduction in 2007 holds another important lesson, said Google Robotics product manager Ryan Hickman in a subsequent panel discussion. The device seems primitive by today’s standards, but that’s important: It launched with a focused set of features. Going full circle to Ellsworth’s thoughts on baby steps, the lesson for AR and VR is focus and patience. This is especially true at this stage of AR given the technology’s limitations. But beyond limitations it’s wise, per the iPhone 1, to avoid being a jack of all trades and a master of none. Next Next post: Data Point of the Week: Did VR Grow 30% in 2018?